WHY: Jewelry at a discount at the Lionette by Noa Sade Sample Sale. WHY: Lionette Jewelry up to 60% off! 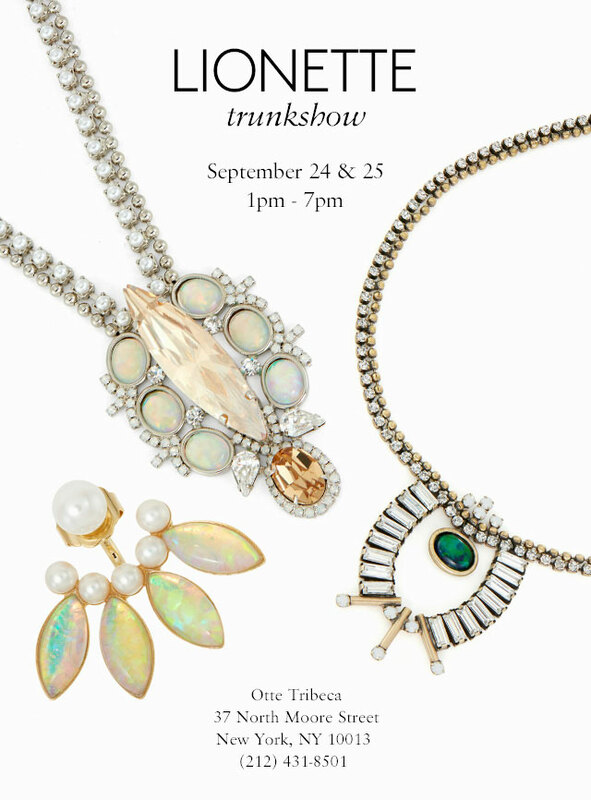 WHY: You are invited to the Lionette Trunk Show at OTTE. Lionette designer Noa Sade will be showing her new jewelry collection. WHY: Women’s apparel and accessories up to 70% off retail prices at the Mega Summer Sample Sale. 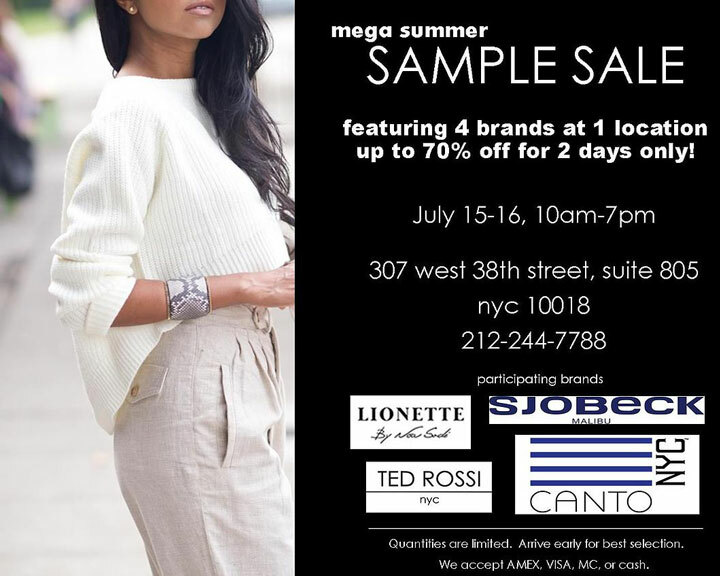 Featuring four brands in one location… Ted Rossi, Canto NYC, Lionette, and Sjobeck Malibu. Quantities are limited. Arrive early for the best selection. AmEx, Visa, MasterCard and cash accepted.